You are here: Home › Sleep Improvement › Should you choose satin or cotton sheets for better sleep? It’s easy to feel overwhelmed when shopping for sheets. Material, thread count, and weave are all factors you have to consider when purchasing a new set of sheets. Research your options before to ensure you buy quality sheets and sleep comfortably. As you browse the many materials available, one question you might have is whether you should choose cotton or satin sheets. These two types of sheets offer a very different feeling, but one is not necessarily better than the other. The material that helps you sleep better often depends on your comfort preference in bed. Satin is not a true a fiber. It’s describes a type of weave that uses silk or nylon to make glossy sheets. Satin sheets provide cool comfort and some people prefer their luxurious look. Others find them to be slippery and hard to clean. If you like the shiny style and silky feel of satin, it’s best to buy sheets made from silk, rather than nylon or polyester. Although they are more expensive, satin silk sheets don’t trap body heat like the man-made fibers often do. Cotton sheets are soft, comfortable and breathable, and they feel good during both hot and chilly nights. When searching for sheets, look for top-of-the-line Egyptian and Pima cottons if your budget allows. 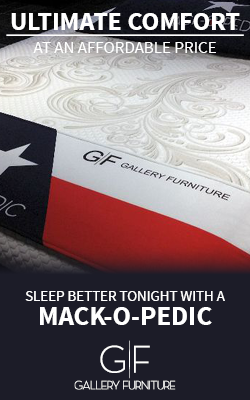 If not, you can also find very comfortable 100-percent cotton sheets, made from American cotton. The downside to these cheaper cotton sheets is that they are less durable and slightly rougher than the more expensive variety. Everyone has different preferences when it comes to sheets, but you can’t go wrong with a quality cotton set. If you want to try satin silk sheets, consider starting with a couple of pillowcases. Silk pillowcases are said to be good for your hair and skin, and this will help you determine if you prefer satin to cotton.